Located just under an hour from Venice, the lovely town of Padua in north-eastern Italy makes for a perfect getaway over the New Year. With its priceless frescoes, historical cobbled streets and fabulous food markets, here we can experience an Italian New Year with a difference. New Years Day Wine Tasting! With its hip student population from the second-oldest university in Italy, Padua has been compared to the likes of Oxford but without the punting. We have a couple of guided tours included in our break, giving us a great opportunity to view the different aspects of the city. Our guided art tour is sure to take us to biggest attraction of the town: the Scrovegni Chapel with its beautiful frescoes by Giotto. There is also fine architecture, arcaded streets, parks and gardens to explore. Often the best way to eat in Italy is to visit the local market. Our second guided tour introduces us to a couple of the fabulous food markets. Open every day except Sunday, we can get a real taster of life with friendly locals and vendors boasting some of the best food including fruit, vegetables, cheeses, meat and not forgetting delicious Italian wines. Our final inclusion during our time in Padua is a wonderful wine tour. On New Year’s Day we will visit one of the local wine producers for a classic tasting. Our hotel is perfectly located in the historical centre of the city near the Scrovegni Chapel. This refined hotel features a quality restaurant as recommended in the Michelin guide as well as a gym. The well-equipped bedrooms feature air-conditioning, minibar, satellite TV, hairdryer, safe and Wi-Fi. The transfer time from Venice Airport to the hotel is approximately 45 minutes depending on traffic. 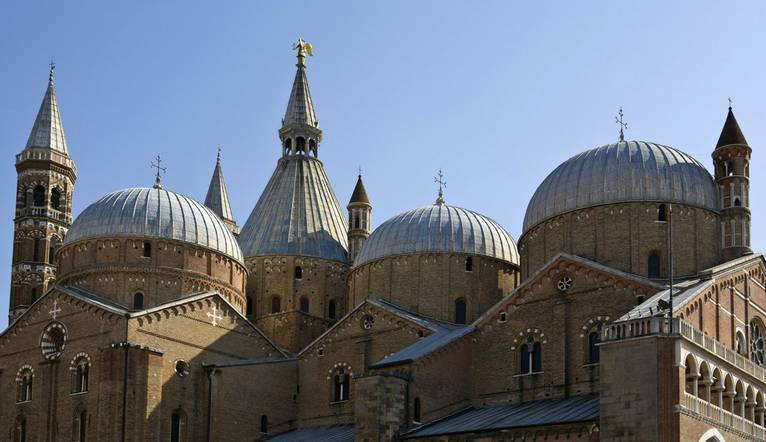 During your holiday, we have included a guided tour of the the city, a walking tour of Padua's food markets and wine tasting.